The divisiveness, gridlock, and political mudslinging in US politics - as bad as it sometimes gets - is by no means a new phenomenon. Furthermore the founders of the US political system may have intended for it to function in exactly such a way. 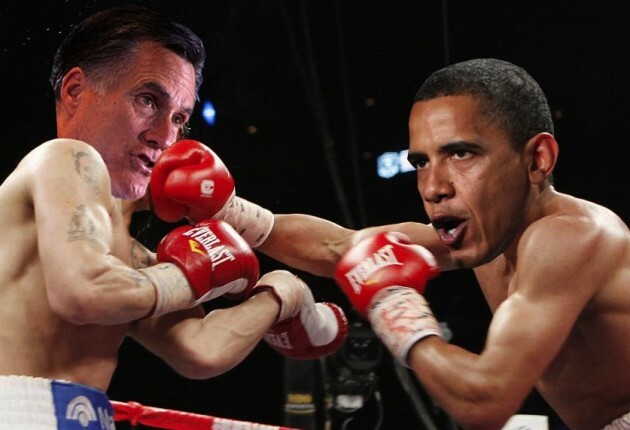 In fact the Obama-Romney fight is child's play in comparison to some political campaigns of the past. Here is a good colorful passage from a recent essay by George Friedman of Stratfor that puts modern politics in perspective. George Friedman: - We like to think that our politics have never been less civil than they are today. Given that Andrew Jackson's wife was accused of being a prostitute, Grover Cleveland was said to have illegitimate children and Lyndon Johnson faced the chant "Hey, hey, LBJ, how many kids did you kill today?" I will assert that the Obama-Romney campaign doesn't even register on the vilification scale. The founders wouldn't have minded this culture of contempt for politicians. In founding the republic, their fundamental fear was that the power of the state would usurp the freedoms of the states and individuals. They purposefully created a political regime so complex that it is, in its normal state, immobilized. They would not have objected if professional politicians were also held in contempt as an additional protection. Ironically, while the founders opposed both political parties and professional politicians, preferring to imagine that learned men take time from their daily lives to make the sacrifice of service, many became full-time politicians and vilified one another. Thomas Jefferson's campaign said of John Adams that he had a "hideous hermaphroditical character, which has neither the force and firmness of a man, nor the gentleness and sensibility of a woman." Adams' campaign stated that Jefferson was "a mean-spirited, low-lived fellow, the son of a half-breed Indian squaw sired by a Virginia mulatto father." And Jefferson and Adams were friends. I would suggest suspending the idea that we have never had so vicious a politics.